Mission Shakti: In an election season when everything is up for contest, questions have been raised whether this test could have happened earlier. In terms of scale, significance and international impact, Wednesday’s test of the anti-satellite missile will probably rank several notches lower than the nuclear tests of 1974 or 1998. And yet this test has given India a unique and a critical strategic capability that only three other countries in the world currently possess. Both in 1974 and 1998, India made a forceful entry into an exclusive club. At least in the case of the 1998 tests, India was only converting a de facto nuclear status into a de jure one. The situation is not very different in the case of anti-satellite missile test carried out Wednesday. 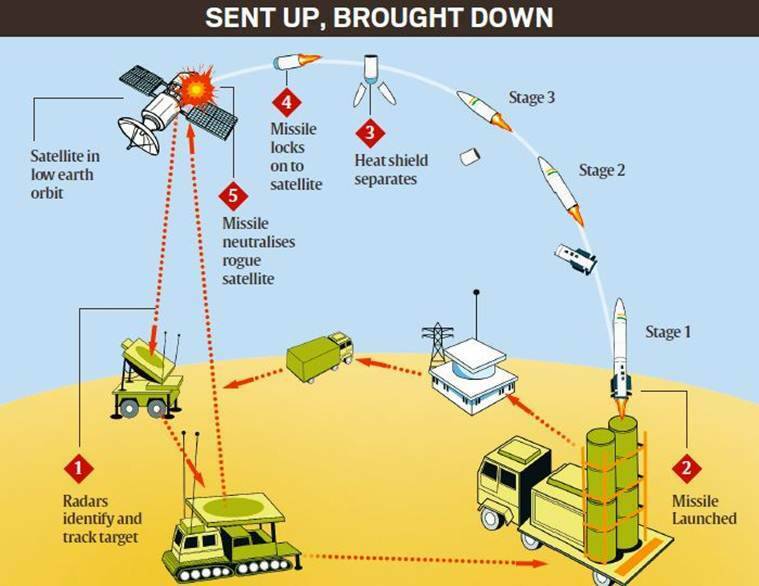 India had unveiled its intention to acquire this capability way back in 2010 when the then chief of Defence Research and Development Organisation (DRDO) V K Saraswat had announced at a January 5 press conference that such a test was on the anvil. And even though the actual test has taken nine years to come, the capability itself was never in doubt, as DRDO tested, one after the other, several short, medium and long range ballistic and other missiles, including those capable of carrying nuclear warheads like Prithvi and Agni. “We had the capability. But the test was important. You have to check the reliability of your technology and that can be ensured only through a test. Besides, you also have to demonstrate your technological capability. We have now proven this capability. With today’s test, we are telling the world, and our potential adversary, that we have this capability. A strong message has been sent, that has gone global,” said W Selvamurthy, a former chief controller (R&D) at DRDO who has overseen the development of the anti-satellite capability. In an election season when everything is up for contest, questions have been raised whether this test could have happened earlier. However, today Selvamurthy said while he was not aware of any specific denial of permission from the government during the time of UPA, the technology had “matured” enough to carry out a test before 2014. “We had begun the programme somewhere around 2010. An exclusive project for the anti-satellite missile was not required as the capability for this was built alongside the long-range missiles like Agni and the interceptor missiles that we were building at that time. Around 2012, we had carried out some of the Agni tests. I am sure by 2014, our anti-satellite missile technology had matured and we could have carried out such a test by that time,” he said. Selvamurthy said the test carried out today must have been sanctioned — by the Cabinet Committee on Security, and the Cabinet Committee on Political Affairs — well in advance. “The preparation for the test takes time. Several checks have to be done. Meteorological conditions have to be kept in mind. It is a matter of several months at least, not a matter of days or weeks,” he said. “But the final decision to test is no doubt a political call. It is not a technological decision,” he said. After the 1998 nuclear tests, India declared a moratorium on further tests and also declared a unilateral no-first use policy. There are other parallels with the nuclear situation. Much like in the case of nuclear weapons, the effectiveness of anti-satellite missiles depends on the deterrence it brings. No country has so far struck down any other country’s space assets. “It no doubt works on the principle of deterrence. The capability works on the principle that it would never required to be used. It is an aggressive capability and that is why it becomes a deterrent. The nuclear deterrence is a correct analogy,” Selvamurthy said. A similar policy is not considered necessary in the case of anti-satellite missiles though the official position, as of now, is that further testing might not be required. That is what Saraswat emphasised today. However, Selvamurthy did not rule out the possibility or requirement of future tests but said that would be for the government to decide. Read | What is Mission Shakti — ASAT? There are important divergences from the nuclear case as well. Unlike the 1998 tests, the anti-satellite missile test carried out on Wednesday are unlikely to bring any international sanctions though countries are likely to react with concern. 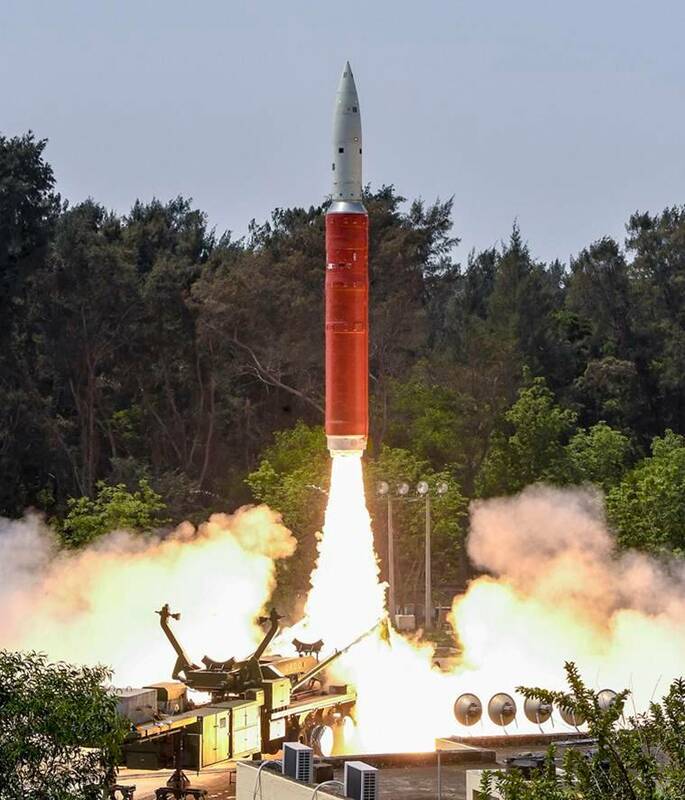 The anti-satellite test is not prohibited by any international law or treaty, a fact emphasised by both the Prime Minister and the Ministry of External Affairs, which came out with a detailed statement on the test today.